I bought Shadow and Bone on a bit of a whim. I spotted the paperback for cheap and remembered that basically everyone loved it, and thought maybe I ought to check it out. You see, not long before this purchase I realized I haven’t actually read anything I would classify as fantasy except The Hobbit, and I felt I needed to remedy this. I enjoy science fiction, so obviously I have no problem with other worlds. Even though I like the idea of fantasy, the blurbs on fantasy novels (YA or otherwise) often turn me off because they sound so confusing. I figured Shadow and Bone would be a good gateway into fantasy. I flew through this one, so it pretty much felt like I blinked and it was over. I think I remember the story and yet sometimes I wonder if I missed something, even though the story felt complete, because I read it so much faster than I normally read. Even though it didn’t feel like anything was truly missing, there was just a little something that separated me enough emotionally from what happened and the characters to give it a 5. The story was great, I can’t even think of any one particular thing that I didn’t like, but for some reason it didn’t have all the BANG I wanted. But I did really, really enjoy it. I liked Alina and felt she was very realistic. She wasn’t super courageous, but she didn’t curl up in a ball and cry when things got too hard either. I liked Mal, and I’m almost always a sucker for a friendship-turned-romance. The Darkling was interesting, but I definitely cannot get on that team bandwagon because he is a bad dude. And the ending left me interested in how the story will continue. 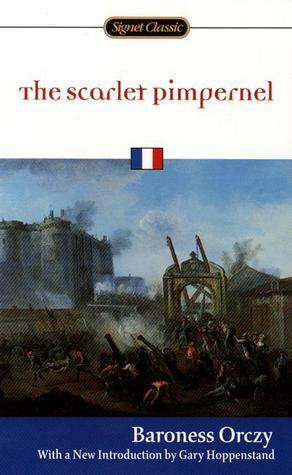 As mentioned in a previous post, I also bought The Scarlet Pimpernel on a whim when it was on the cheap. I LOVE Across a Star-Swept Sea, a retelling of the story (as if you haven’t heard a million times before from me), so I was hoping to really love the original story as well! And… it started out slow for me. Real slow. I have this problem with most classics though, where language and unnecessary details bog me down. About halfway through though, the story really picked up for me. The chapter where Marguerite finally talks to Percy about how she feels – WOW, the feels really came through there! And it continued to be exciting, and the last few chapters were really tense, even though I knew it would all turn out OK. But I have two complaints about this book, one being the slow beginning, and the other being the ending. The ending was really shaping up to be great, but then after the climax, we basically get a couple of paragraphs of wrap-up and then THE END. I always hate rushed endings. I would rather have drawn-out Return of the King (movie, can’t speak for the book) style endings than super short ones (though obviously a happy medium is most preferable). I really, really, REALLY expected/hoped to see a nice scene between Marguerite and Percy at the end where they would finally be all happy and lovey dovey and give me feels like they did in that one chapter, but sadly… no. And that alone actually downgraded a potential 4.5 star book down to a 4 for me. It’s a great story filled with intrigue and trickery, and I definitely saw the foundation of my beloved Across the Star-Swept Sea in it, but the feels were lacking in the end when they showed so much potential earlier in the story! Share your thoughts on Shadow and Bone &/or The Scarlet Pimpernel! And please feel free to recommend other fantasy books you think I might like! This entry was posted in Books, Reviews and tagged books, classics, reviews, shadow and bone, the scarlet pimpernel, YA. Bookmark the permalink. These are two books I loved, so I was so glad to see your post! 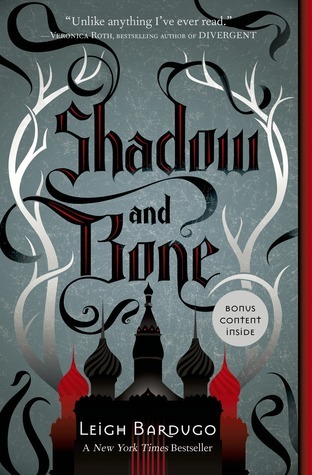 I can understand what you mean about feeling a little separated from the characters in Shadow and Bone – I think the 2nd book does a better job of really opening up the world and what is at risk. I’m eagerly waiting for the last book! Glad to hear that about Storm and Siege! I look forward to reading it! Might have to check out The Elusive Pimpernel too! Odd’s fish, I LOVE The Scarlet Pimpernel! 🙂 Personally I never felt the book was slow – in fact it felt pretty ‘light’ for a classic to me. Ha ha, I love the things they say in the book! It was just the first few chapters that felt slow to me because I didn’t have a good grasp on who the characters were or what they were doing, specifically like the first time they were at The Fisherman’s Rest. It was much lighter than most classics though, I do agree! I really liked Shadow and Bone the first time. But it wasn’t until the second or third read that I really loved it. I feel like that a lot with books that have something of a mystery or a world that the MC is discovering. So much of the first read is spent in that discovery that I’m not *as* engaged with the characters. But then when I go back and know what’s going on I connect more with the nuanced interactions between the characters. Plus, Shadow and Bone us something of a fast read just in how it’s paced.